It only seems like yesterday that Red Bull KTM Factory Racing’s Josep Garcia was crowned Enduro2 World Champion. But with KTM turning their attentions to the newly formed World Enduro Super Series, the young Spaniard is busy preparing for an altogether new challenge in 2018. Josep’s speed on two-wheels is unquestionable. With his whole family riding bikes, the 21-year-old jokes that ‘fuel is in my blood’. Growing up racing motocross, he even spent a season road-racing in the Red Bull MotoGP Rookies Cup before settling on enduro. Josep has won several Spanish championships before claiming his first world title in 2017. A new challenge now faces the fun-loving Spaniard, with the inaugural World Enduro Super Series kicking off with round one – Extreme XL Lagares – on May 11. A seven-race series, the WESS is made up of Hard Enduro, Classic Enduro, Cross-country and Beach Races. The KTM BLOG caught up with Josep to find out how he’s approaching his latest adventure. We’re only a couple of weeks away from the first round of the World Enduro Super Series now, how are you feeling going into Extreme XL Lagares? With so many different types of events, the WESS is going to be very different to the EnduroGP championship, how have you altered your training to prepare for the series? “Over the winter I have been concentrating on the extreme riding. I know my pace on the Classic Enduros will be fine but improving my speed on the more technical terrain has been my priority up to now. As the season goes on, the whole team will look at the calendar and prepare specifically for the next round as there are so many different styles of event – even the Hard Enduros are unique. You entered the Bassella Race 1 Xtreme back in February and came fifth, just a few minutes from the win and beating some of the Hard Enduro regulars in the process. How did you find the event and did it help to prepare you for the WESS season ahead? “Bassella was the first race I did on the KTM 300 EXC TPI and it was really good training for the Hard Enduros in the WESS. We did the race using a GPS as well and I enjoyed that a lot, especially as it was good practice for Red Bull Romaniacs at the end of July. So, the KTM 300 EXC TPI 2-stroke for the Hard Enduros, the KTM 250 EXC-F 4-stroke for the Classic Enduros, what about the Red Bull Knock Out Beach Race at the end of the year, do you fancy having a go on a KTM 450 SX-F? Your speed and motocross skills could come in very handy there. The KTM Enduro Factory Racing Team is now five-strong. You know Nathan from your time in EnduroGP, how well do you get along with the others in the group? Have you been able to learn anything from the other members of the team, they all have strengths in different areas? As Enduro2 World Champion you know your speed is good on the Classic Enduros but which events are you actually looking forward to the most, perhaps something you haven’t tried before? What about the Gotland Grand National, a cross-country race that normally ends up being extremely muddy, are you looking forward to giving that one a go? Finally, with the points system in the WESS rewarding consistency throughout the series, will you approach the championship differently to EnduroGP for example? A DNF at the WESS could mean the end to your campaign. 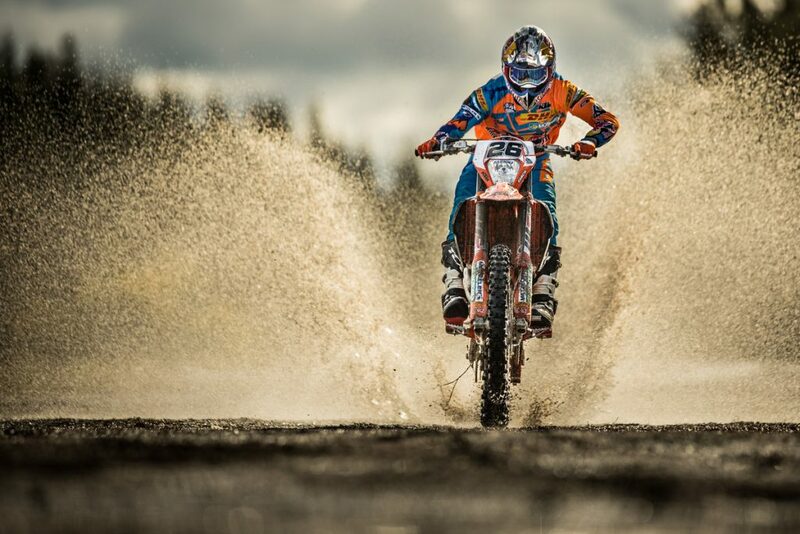 The World Enduro Super Series begins with the Extreme XL Lagares in Portugal from May 11 to 13.